Prize Giving was held on Wednesday 25th June. 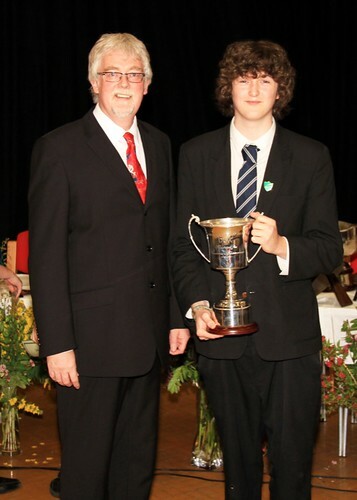 Prize Giving was held on Wednesday 25th June 2012 – Individual Trophies & Prizes were listed in the last issue and are available on the school website here. Prize Giving is a celebration of all success in the school and is a culmination of efforts throughout the year. At school assembly, in the Gairloch and District Times and on the local radio as well as the school website we attempt to properly recognise the success of pupils in and out of school. This edition of the school news adds some more details to the list presented including the names of those pupils who will have leading roles next session at School and House level. We also include some other presentations that did not make the list last issue. You can also see many photos of the event here on this website. Certificates of Personal Achievement – We believe all pupils in Gairloch High School benefit from school, but over the year there are some pupils who put in extra commitment and show a willingness to take full advantage of the opportunities available. Pupils are awarded Certificates of Personal Achievement as a result of commendation from a range of subjects and events. These certificates are awarded to pupils through S1 to S4. This year all of S1 and S2 were awarded these certificates. This is quite unusual and reflects both the effort of the pupils and our high expectations of them. The John Muir Award – This year, S1 pupils have been taking part in the John Muir Award as part of their SMART course and all were given John Muir Discovery Awards at Prize Giving. Read more about the award at the JMT website by clicking here. Maths Challenge certificates – The Maths Challenge involves many pupils from across the school and a number of certificates have already been presented in Assembly. Junior level: Best in School, Best in year and a Gold Certificate goes to Alfie Gudgeon. A gold certificate was also awarded to Jordan Gorman, and Mark McLean receives a silver certificate and Best in Year. Intermediate level: Best in School and Silver Certificate was awarded to Eilidh MacLennan. This year the Two Lochs Radio occasional prize for dedication and commitment to local radio was awarded to Becky Griggs and Isla MacKenzie. Beginning when Becky was on Radio Waves aged just 8, and continuing with their four years together on The Zone, the girls have always been both conscientious and adaptable, even when LibDem party leader Charles Kennedy dropped in on one of their shows unexpectedly! Mentors – For many years, we have had a buddy system in the school, pairing incoming S1 pupils with an S6 ‘buddy’. This year Mr. Milner and Mrs. Beeson have developed this into a mentoring system. Mentoring is a powerful personal development and empowerment tool, a partnership between two people based upon mutual trust and respect. We have 8 pupils entering S6 who have taken on the role of mentor for next year’s S1 pupils: Callum Vickerstaff, Ian Paul, Sarah MacKenzie, Mairi Wyatt, Morven MacRae, Leanne MacKay, Gemma Urquhart and Rachel Mackenzie. We hope this will be a very positive experience for all. House Credits – The Credit system is keenly contested and extends throughout the School. All pupils may earn credits for their house through achievement and effort in class and other activities. All inter-house competitions also earn credits. After Sports Day, the credits are totaled and the house with the highest number is the champion House for the year, with everyone playing their part. The pupil with the highest number of individual credits in the whole school this session was, for Maree: Calum Nelson with 28 credits. For Kerry, the highest number of credits was gained by Alfie Gudgeon, with 27 credits, and for Tollaidh house, the top spot was gained by Aiden Bremner with 19 credits. In his report at prize giving Headteacher, Mr. Port reflected on the quality of the achievement of many of our pupils. Citing how proud he was this year when Anna and Ceitidh Hulme won the National Gaelic Debate he went on to say, “We have pupils who are achieving well in football, Scottish Dance, music, horse riding, swimming and now basketball. Their efforts are to be commended, as all of these pupils have to do so much more practice in their own time as well as cope with schoolwork. 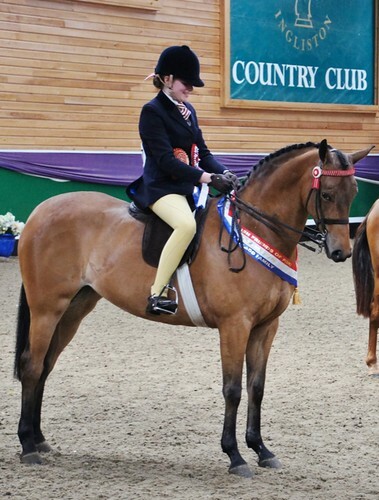 Champion Show Pony and BSPS Champion Alyth Show. Former Pupil Success – Jennifer Port received her Silver Duke of Edinburgh’s Award. She is currently studying Genetics at the University of Glasgow. If you have information on any former pupil we’d like to know. It’s easier to track some than others! Contact the school so that we can recognize achievements and show our current pupils the range of careers and jobs that they can aspire to around the world.